Metallica guitarist Kirk Hammet insists that Lulu, their notorious 2011 collaboration album with musician Lou Reed, is one one the band’s best records. The record was snubbed by all but three percent of Metallica’s fanbase, selling 15,000 copies during its first week of release compared to 490,000 for 2008′s Death Magnetic. 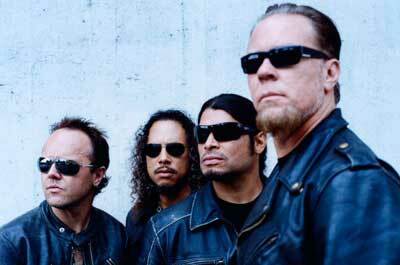 Even their much-maligned 2003 album St. Anger sold 418,000 in its first week. Reed admitted he’d had death threats following the album’s release. Metallica have just released highly-anticipated concert movie Through The Never, and they’ve vowed to turn their attention to a new album early next year. richman is out of his mind….